Description: Multi Let Office Investment. Producing €265,000 p.a. Multi let office investment. Producing €256,000 p.a. 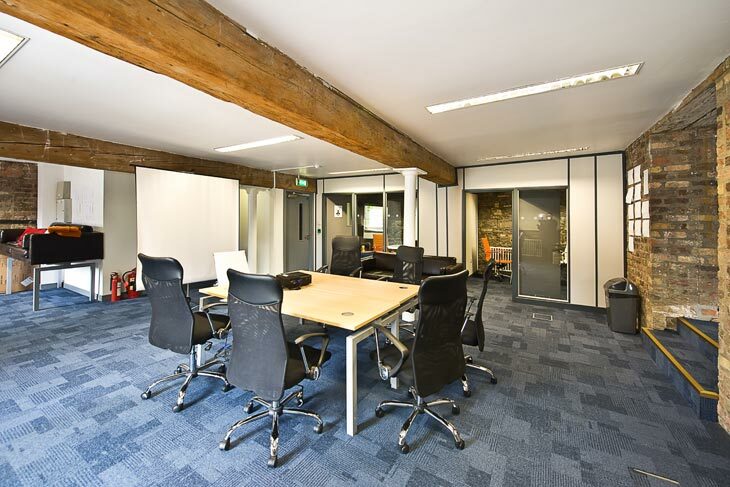 The property is an attractive cut-stone former grain store which was redeveloped in 2002 and now provides well laid out and attractive office accommodation over 6 levels. The office building has two entrances, No. 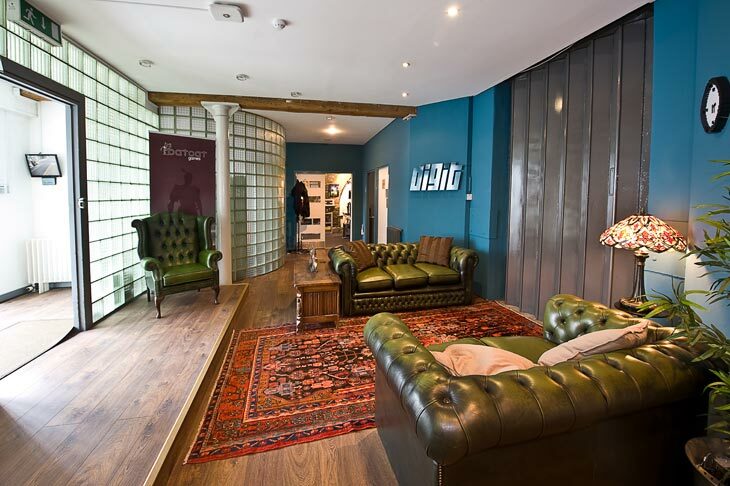 4a provides a self-contained unit, let to Digit Game Studios, over ground, 1st and 2nd floors. No. 4 provides a separate reception entrance with lift access to all upper floors. 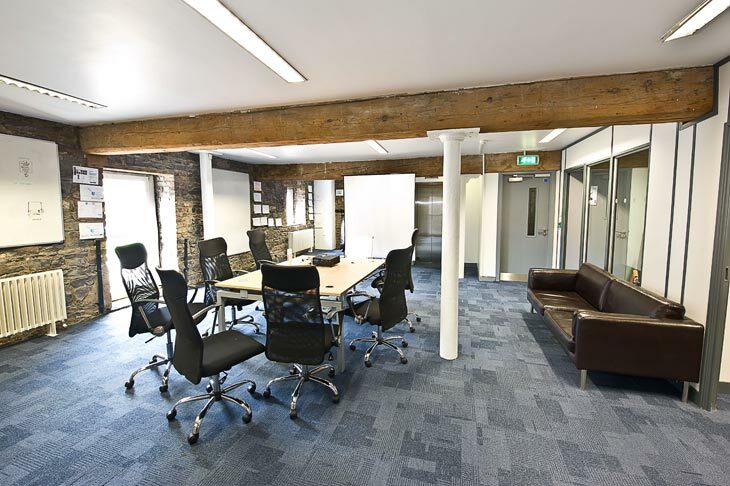 The offices present very well with attractive cut stone walls, exposed beams and double height space in part and in part modern light filled open plan modern space at 4th and 5th floor levels. The property is situated on the corner of Princes Street South and Gloucester Street South, c. 50 m off City Quay at the western end of Dublin’s South Quays. Princes Street South is a quiet one way street that connects Townsend Street with City Quay. The immediate vicinity benefits from being within 5 minutes of both Pearse Street and Tara Street DART Stations. The South Quays area is now home to some of the world’s largest corporations as well as Ireland’s leading Consultancy and Financial services firms including Google, Facebook, Setanta Sports, Grant Thornton, McCann Fitzgerald Solicitors, William Fry Solicitors, HSBC, Merill Lynch, Pioneer Investments, Investec and Telefonica O2 to name but a few. 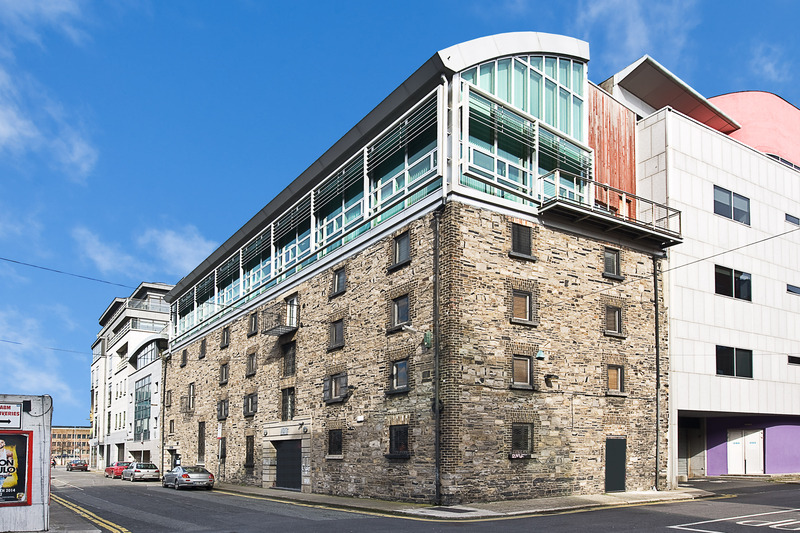 Located just off City Quay in Dublin’s South Docks, close to both Pearse Street and Tara Street DART Stations. 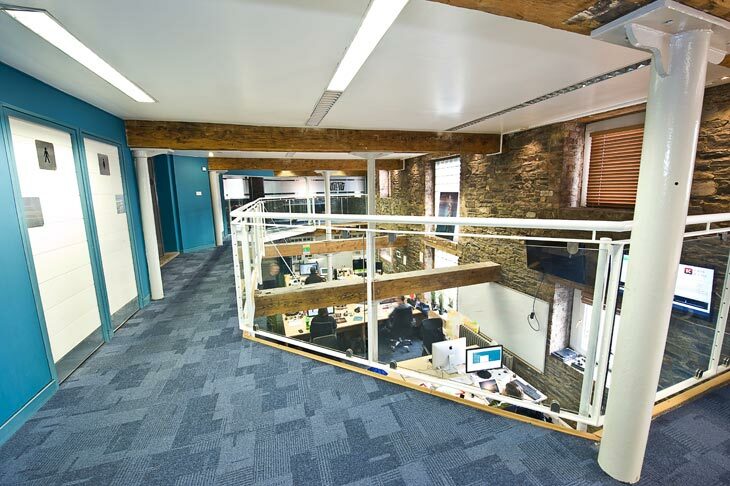 Redeveloped in 2002 to provide 4 levels of offices within former converted grain store with 2 additional modern floors built at 4th and 5th floor levels. 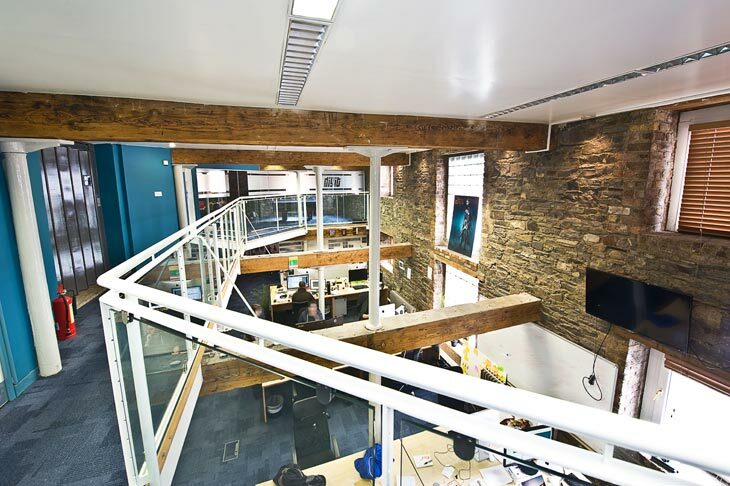 Attractive interior with mix of cut stone walls, exposed timber beams, modern light filled offices which are served by lift and air-conditioning (in part). Fully let to 3 office tenants and roof mast licence producing total €256,000 per annum with annual stepped increases up to €271,000 by July 2007. Let off modest rental levels offering excellent potential for rental growth. Seeking offers in excess of €3,000,000 (three million euro) plus VAT for Freehold interest, subject to contract. A purchase at this level shows on initial yield of 8.1% (increasing to 8.6% on receipt of fixed rental increases) and an attractive capital value equating to only €246 per sq.ft. Tenancies: The property is currently let to 3 office tenants, (on 4 leases) and with one roof top mobile phone mast licence, producing a total income of €256,000 per annum. There are annual increases in one of the leases which will increase the total income to €271,000 per annum, as set out in the schedule below. - LSI Storage Ireland Ltd is a subsidiary of LSI Corporation Group., a Nasdaq listed multinational manufacturer of semi conductors and high performance digital storage systems. - Cellusys Ltd., is the developer and distributer of sophisticated SMS Firewall and anti-virus systems established in April 2005. - Digit Game Studios Ltd – founded in 2012, is an Independent VC backed game developer, backed by Delta Partners and ACT Ventures. - Telefonica O2 Ireland Ltd – Ireland second largest mobile operator. 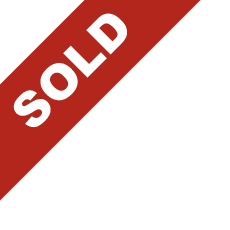 VAT: The property is registered for VAT.